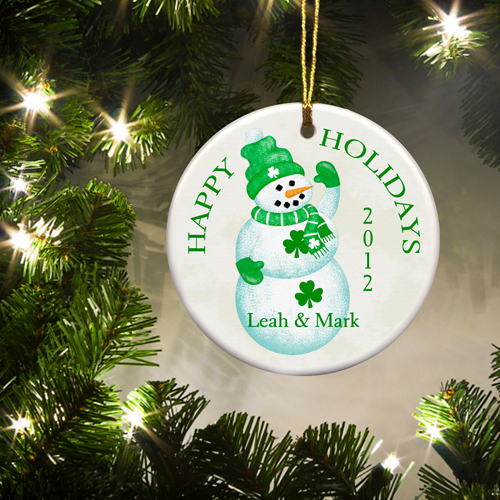 * Get your Irish on with our wonderful set of personalized Emerald Isle-inspired Christmas ornaments! 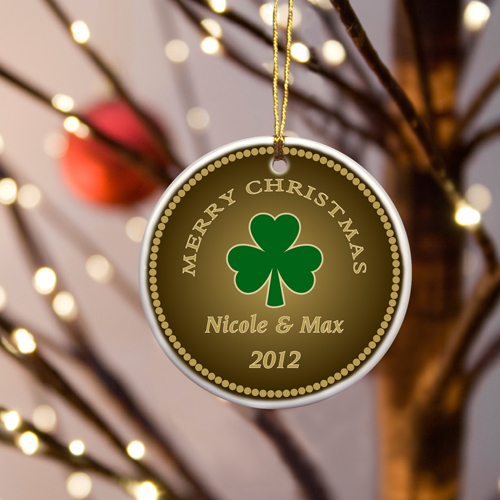 * Choose from 5 distinct designs featuring the icons of Irish heritage including shamrocks, Claddaghs, and the colors of Ireland's flag, as well as symbols of the holiday season. 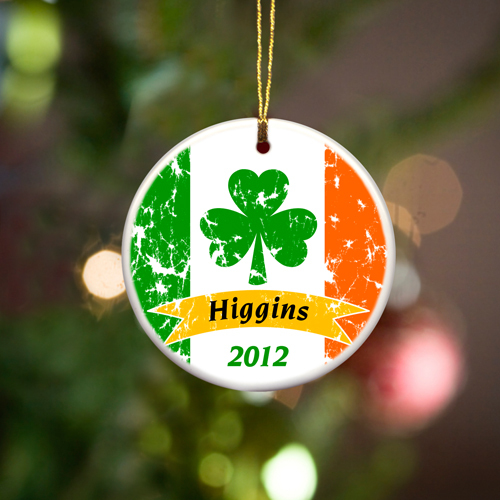 * These attractive and sturdy personalized ornaments are a wonderful gift for Irish family and friends! 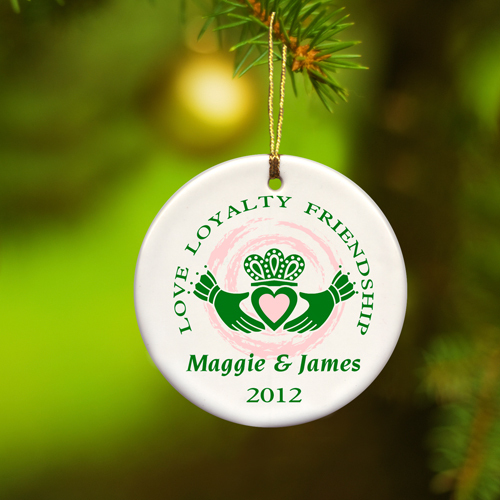 * These ceramic ornaments measure 3" in diameter and are ready for hanging with a gold metallic cord. * Personalize with one line up to 15 characters and holiday year.